Restless night: Using electronic devices at night may exacerbate sleep problems in children with autism. Exposure to a dim light at night disrupts sleep patterns and worsens repetitive behaviors and social difficulties in a mouse model of autism. Melatonin, a hormone that regulates sleep, normalizes sleep patterns and eases the autism-like behaviors in these mice. Researchers presented the unpublished results today at the 2017 Dup15q Alliance Scientific Meeting in Los Angeles. The findings suggest that disruptions to sleep exacerbate autism features. They also hint that strategies to help children with autism sleep may improve their behavior. “Minimizing light exposure at night may be particularly useful,” says lead investigator Christopher Colwell, professor of psychiatry and biobehavioral sciences at the University of California, Los Angeles. The mice in the study lack both copies of CNTNAP2, a gene linked to autism. The mice groom themselves obsessively and show little interest in other mice, behaviors reminiscent of the repetitive behaviors and social difficulties seen in people with autism. Colwell’s team noticed that the mice also sleep less and more irregularly than controls do. About 50 to 80 percent of children with autism have sleep problems. These children often have more severe autism features than those without sleep difficulties. 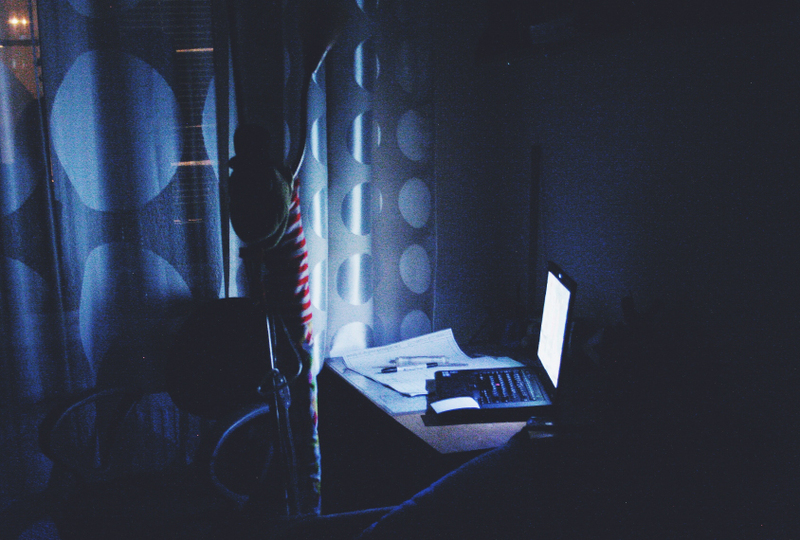 Exposure to light from electronic devices, such as computers and television, at night is thought to affect sleep in people. Many children with autism are known spend more time using these devices than their typical peers. “What people are doing in evenings, including adolescents, is that they’re spending their evenings exposing themselves to electronic devices,” Colwell says. Disruption in the sleep-wake cycle might serve as a “second hit” for people with autism and worsen their features, he says. Colwell and his colleagues exposed mutant mice and controls to 5 lux of light — comparable to the amount emitted by a computer screen or night-light — for 14 nights. The researchers then used video cameras to monitor the animals’ activity levels for the next three days. They found that controls and mutant mice exposed to light both show disrupted sleep patterns and are more active than unexposed mutants. The team also looked at the mice’s social and repetitive behaviors. Mutant mice exposed to light groom themselves more than either the exposed controls or the unexposed mutants. They also spend less time interacting with a novel mouse. It is unclear how light exposure exacerbates autism features in the mice. The researchers have begun probing a possible role for inflammation. Using samples of brain tissue, they have found higher levels of a marker of inflammation in the mice exposed to light; this increase is slightly higher in the mutants than in controls. “The mutant mice seem to have a higher sensitivity to the stressor,” Colwell says. The researchers then gave the mice melatonin at night just before exposing them to dim light. They found that the supplement normalizes the mutant mice’s sleep patterns and grooming behaviors. The findings jibe with evidence that melatonin alleviates sleep problems in children with autism. The team aims to explore the molecular mechanisms underlying disrupted sleep in the mutant mice and the effect of these mechanisms on behavior. In the meantime, Colwell says simple lifestyle changes, such as minimizing nighttime light, may make for more restful sleep. For more reports from the 2017 Dup15q Alliance Scientific Meeting, please click here.